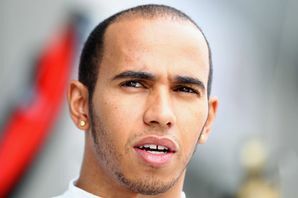 Hamilton, who cut Rosberg`s championship lead to four points by winning the British Grand Prix two weeks ago when the German suffered his first retirement of the season, clocked a best lap of one minute 18.341 seconds. That put him 0.024 seconds ahead of Rosberg. "That was ok, pretty good," said Hamilton afterwards. "The temperatures are so high that it was very difficult with the tyres, but we learned a lot in that session. As usual qualifying is going to be very important like it is at every circuit we go to." Australian Daniel Ricciardo was third fastest in the leading Red Bull, once again proving he has the pace to deserve his place among the elite, ahead of Finn Kimi Raikkonen of Ferrari. Danish rookie Jan Magnussen was fifth for the improving McLaren team ahead of Brazilian Felipe Massa, of Williams, Briton Jenson Button in the second McLaren and defending four-time champion Sebastian Vettel of Germany in the second Red Bull. Two-time champion Spaniard Fernando Alonso was down in ninth for Ferrari after a promising morning session. The session saw the conditions take their toll on some teams with Japanese Kamui Kobayashi of Caterham suffering a close encounter with danger when his car burst into flames. He jumped clear as smoke poured from the rear of his car and then ran back with several marshals, armed with fire extinguishers, to extinguish the flames. Earlier, in the morning session, Briton Susie Wolff, the first woman to take part in a Formula One weekend for 22 years, had impressed for Williams by finishing 15th in opening practice topped by Rosberg. She was only 0.2 seconds slower than her team-mate Massa after a technical problem on her opening lap.